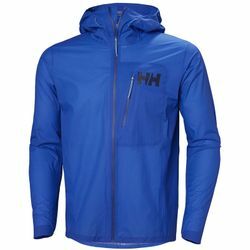 Helly Hansen Odin Minimalist 2.0 Jacket. A superlight Helly Tech® Professional, packable, minimalist jacket - a perfect emergency jacket to keep in your backpack for unforeseen weather. For the weight conscious and function-oriented consumer, the Odin Minimalist 2.0 uses its Helly Tech® Professional weather protection with minimal weight construction to give you effortless protection against wind and rain without compromising on breathability.